Smoking. 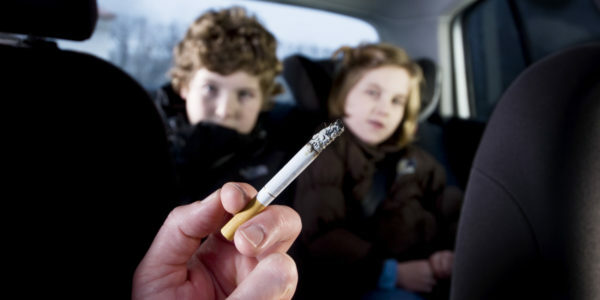 Always a dreaded topic to bring up with kids, smoking is, as we all know, extremely dangerous and highly addictive. So let's get the statistics out of the way and then we'll talk nuts and bolts about kids and smoking in 2017, shall we? First, the good news: Kids are smoking less. According to the CDC, in 2016, 2 out of 100 middle school kids reported smoking cigarettes in the last 30 days, down from 6 in 100 in 2011. As for high school, 8 in 100 kids reported smoking in the last 30 days, down from 15 in 100 in 2011. This is obviously great news, and the numbers are expected to decline even more when the statistics come out for 2017. However, electronic cigarette use is up in middle school kids to 4 in 100, and in high schoolers to 11 in 100 as the vaping trend grows. There are conflicting reports about the safety of vaping, but the main issue as of now is that there is nicotine involved, and as we all know, nicotine is a very addictive substance, that can lead to smoking in kids when there isn't a vape around. So the news is good, statistically. But stats aren't everything, and are of little comfort when it comes to worrying about your kids picking up a cigarette. But let me give you more good news: I work in a store that sells cigarettes. I, of course, am in charge of carding people who are buying cigarettes. Here's an awesome statistic you're not going to get from the CDC: In the year that I have been working there, I have refused service to exactly one person trying to buy cigarettes while underage. One. In fact, I haven't sold cigarettes to anyone under the age of around 25 with any sort of regularity. Kids aren't buying cigarettes like they used to at all. People still buy cigarettes, absolutely, every day it's the most popular thing I sell, but not to young people. The trend is an older one, with (using my own statistics) the median age being around 40. The kids aren't smoking, WE are. Which brings us to my next point. Kids aren't smoking, and boy are they judging people our age for doing it. At my store, if I am selling cigarettes to someone when there is a child on line behind them, that kid will, 9 times out of 10, comment to their parent about the person buying smokes. And it won't be pretty. These kids are judge-y, and heavens help the parent who buys cigarettes with kids in tow. The lectures from the kids are severe, and they are not afraid to say them. So that's even more awesome news. But why? Why aren't kids smoking with the regularity that we did back in the day? While I was researching this article I tried to find hard stats as to why kids aren't lighting up and the information isn't really out there. But it seems that more than anything, kids on the whole are anti-smoking, be it from the media, from school, or most importantly, from their peers. Smoking simply isn't cool anymore. And that's fantastic. But let me tell you, our generation isn't helping matters. There are a lot of us still smoking, and along with the health issues it brings up, and the secondhand smoke issue when it comes to our kids, it is making us deeply uncool among kids. They are judging us hard, and maybe now that they aren't smoking, they can make US quit for good. All these numbers and stats aren't an excuse for us to be lax in teaching the new generation that smoking is the literal worst, though. Although the numbers are good, there's still nothing like parental input to keep kids away from smoking, so keep up the good work! And for the love of pants, quit smoking today. For your and your kids' sake.